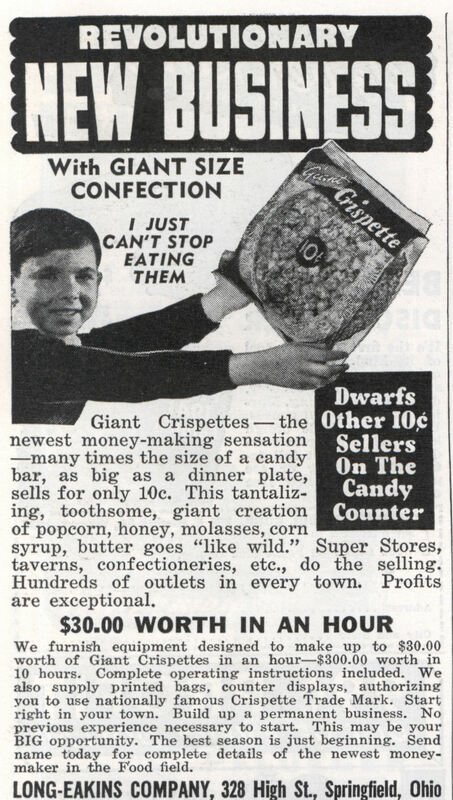 Giant Crispettes — the newest money-making sensation —many times the size of a candy bar, as big as a dinner plate, sells for only 10c. This tantalizing, toothsome, giant creation of popcorn, honey, molasses, corn syrup, butter goes “like wild.” Super Stores, taverns, confectioneries, etc., do the selling. Hundreds of outlets in every town. Profits are exceptional. We furnish equipment designed to make up to $30.00 worth of Giant Crispettes in an hour—$30.00 worth in 10 hours. 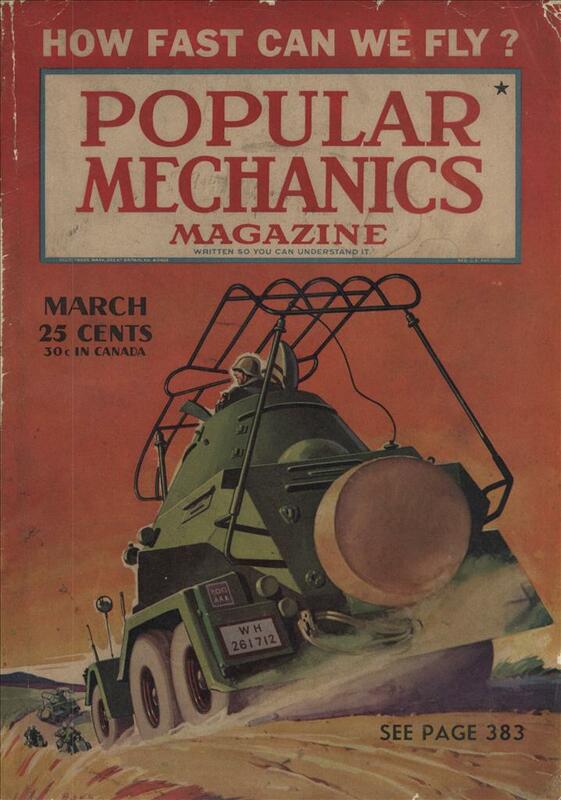 Complete operating: instructions included. We also supply printed bags, counter displays, authorizing you to use nationally famous Crispette Trade Mark. Start right in your town. Build up a permanent business. No previous experience necessary to start. This may be your BIG opportunity. The best season is just beginning. Send name today for complete details of the newest moneymaker in the Food field.